Today I celebrate the 39th anniversary of the birth of the internet with a short blog post. On September 29th of this year (2008), Leonard Kleinrock, a professor of computer science at UCLA received the National medal of Science at the White House for his work on the developing the basic principles of packet switching. 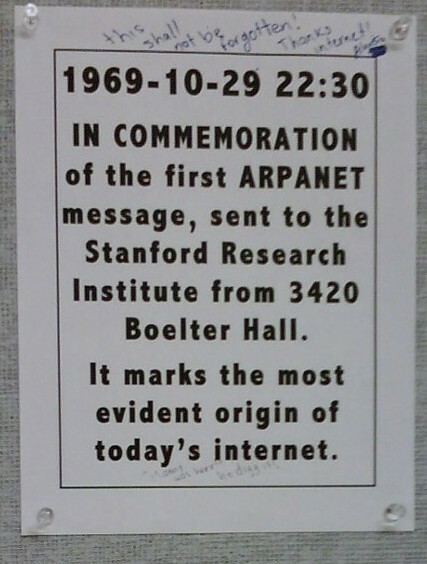 It was because of Kleinrock's early work in packet switching, that his Network Measurement Center at UCLA was selected to be the first node on ARAPNET in 1969. 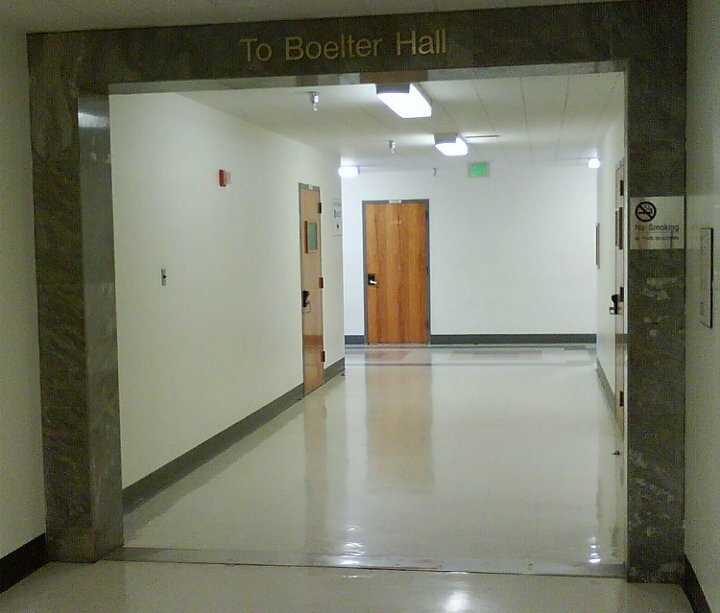 On October 29, 1969, the UCLA team sent, without any great public fanfare, the first ever host-to-host message to the Stanford Research Institute. The team meant to begin by sending the word "login" but only managed to send "log" before the network died. Nevertheless, the sending of the message was still a great success and a landmark in the development of the internet. One would think that UCLA, or somebody, would maybe post a nice plaque commemorating what is essentially the birth of the internet. But the birthplace of the internet remains almost entirely uncelebrated. Almost. And just so everyone doesn't think I'm a big fat liar, I've taken a few pictures. Its epic cool, I know.